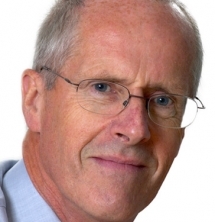 Liz Lightfoot talks to Sir John Holman about his role as director of the National Science Learning Centre and why he believes league tables and exam boards have diluted the science curriculum. However much school leaders love their jobs there must be times when the thought of a quiet office and a long-term project in the company of like-minded adults appeals. So it was for Sir John Holman when he left the headship of Watford Grammar School for Boys to take up a professorship in the chemistry department of the University of York. Ten years later as he prepares for yet another chapter in his long career – he steps down from his role as the director of the National Science Learning Centre this month – he looks back with nostalgia at his time as a headteacher. In fact, he had very little time to settle to the more leisurely pace of life. Within four years he had founded the national centre at York, funded by the Wellcome Trust, and its nine satellite branches, which is paid for by the Department for Education and provides professional development and resources for science teachers. The newly-opened National STEM (science, technology, engineering and maths) Centre is also at the York site. Two years later, in 2006, he was chosen by the then-Labour government as the first national director of STEM and charged with the responsibility of increasing the country’s output of scientists and engineers. He leaves his post at York as the coalition government gets into its stride but his departure had nothing to do with the change of government, he emphasises, and he hopes to “continue to have fruitful exchanges” with the new administration. He has plenty of experience of working with Conservative politicians. He was appointed in 1988 by Lord Baker, then Secretary of State for Education, to the science working group which drew up the first continuous and consistent (containing biology, chemistry and physics) science curriculum for five to 16-year-olds for the National Curriculum. The curriculum is 21 this year and it has brought enormous improvements in science teaching, according to Sir John. Why then is the country still crying out for qualified science teachers, physicists and engineers? A lot of things have happened since which have diluted some of the big gains, he argues. One of them is league tables which point schools and pupils in the direction of subjects where it is perceived to be easier to get the top grades. Some critics say it also comes down to the shortage of high quality, specialist science teachers in the state sector – does he agree? Another significant factor is that one in four of 11-16 schools have no physics specialist at all and such gaps in the profession are exactly what his centre was set up to tackle. Numbers taking physics post-16 are creeping up but part of the problem is the way girls have turned their backs on the subject, he says. Indeed, only a quarter of the physics A level candidates are female – 5,870 compared with 20,740 men last year. “It is a really serious and deeply intractable problem, and it is not for want of trying,” he says, pointing out that half of chemistry candidates are female and in maths the figure is 40 per cent and rising. He points to the National STEM Centre’s new e-library – a vast collection of teaching and learning resources, current and from the archives, which can be accessed online – as a highly significant development in terms of support for science teaching. For other science critics, however, it is not the quality of teaching as much as the content of the curriculum that is in question. Some independent schools which have switched to IGCSE and the Pre-U argue that these exams have retained scientific content which has been lost in GCSE, A level and other public exams. Meanwhile, some leading scientists complain that key scientific areas have come out of the syllabuses to make way for ethical issues and discussion about how science works, for instance debates about whether nuclear power is a good idea replacing learning about radioactivity. Under Sir John, the national centre was responsible for 21st Century Science, a curriculum for scientific literacy which has been the model for the revised Key Stage 4 curriculum on which the new GCSEs are based. But he doesn’t accept that it is “the wicked people of York” who are to blame for this alleged shift from hard facts to ‘issues’. “We have seen a very serious reduction in the amount of mathematics in GCSE and A level sciences. It has happened progressively over the last couple of decades and it is difficult to know where it is coming from,” he says. If he had to hazard a guess he would point to the exam boards. “I think exam boards have equated mathematics with difficulty and people are saying ‘Our exams are too difficult’. One way of dealing with that and letting the students get better grades is to take the maths out. A lot of it has to do with market share. “It is not always easy to reconcile the fact that these are great subjects for employability with the reality that people think they are difficult,” he adds. Sir John says he is stepping down to give himself “more room for manoeuvre”. He will be following areas of research that interest him, writing books and teaching undergraduates. But his first project will be to evaluate how the informal sector – museums and outside the classroom experiences – can help the learning process. His long love affair with the science curriculum continues.